Canada condemns the opening of the bridge across the Kerch Strait between the occupied Ukrainian Crimea and Russia, according to the statement of the Minister for Foreign Affairs of Canada Chrystia Freeland, published on the website of the Canadian Foreign Ministry on May 16. "Canada condemns the construction and partial opening today of the Kerch Strait Bridge," the statement said. Freeland noted that the Kerch bridge violates the territorial integrity of Ukraine. “The bridge, which links Russia to illegally-annexed Crimea, represents yet another violation of Ukraine’s sovereignty and territorial integrity by the Russian Federation. It aims to harden Russia’s unlawful hold on the peninsula and to forcibly isolate it from the rest of Ukraine," she stated. Canada, joining a number of other countries and international organizations, urged the Russian Federation to stop violating the principles of international order. "Canada reiterates its commitment to Ukraine’s sovereignty and territorial integrity. We call on the Russian Federation to cease its violations of this fundamental tenet of the rules-based international order," reads the statement. 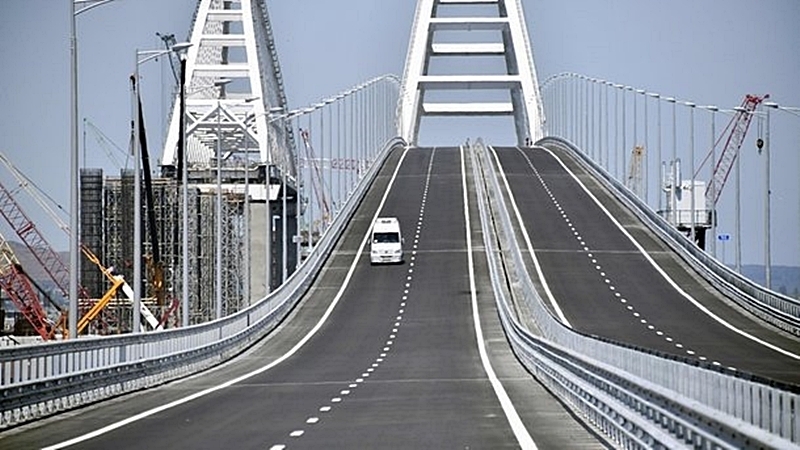 QHA reported that May 15 Russian president Vladimir Putin solemnly opened the Crimean bridge. The head of the invader-state got behind the wheel of a truck "KAMAZ" and headed a column of trucks. Later, the Speaker of the Latvian Parliament Ināra Mūrniece at a meeting with Prime Minister of Ukraine Volodymyr Groisman in Kyiv said that her country condemned the commissioning of the Kerch bridge. Earlier, the opening of the Kerch bridge was condemned by NATO, Britain, the US and the EU.